The difficulty in making a work of art that is at the same time a functional children’s slide, is in creating both without compromising either. Lijn’s concept of sculpture is that no part of it should be unnecessary. 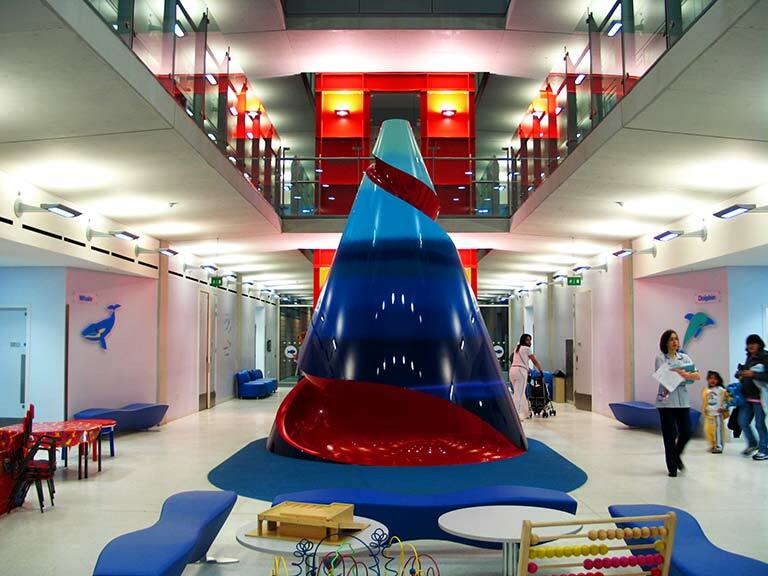 She wanted to design a slide that both in concept and form would be an integral part of the sculpture. 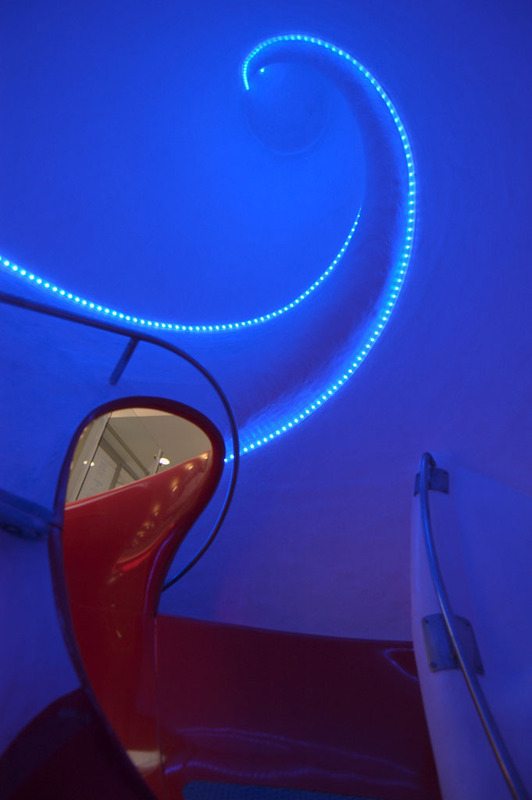 Inside the cone, the access ramp is similar to the spiral inside a seashell. 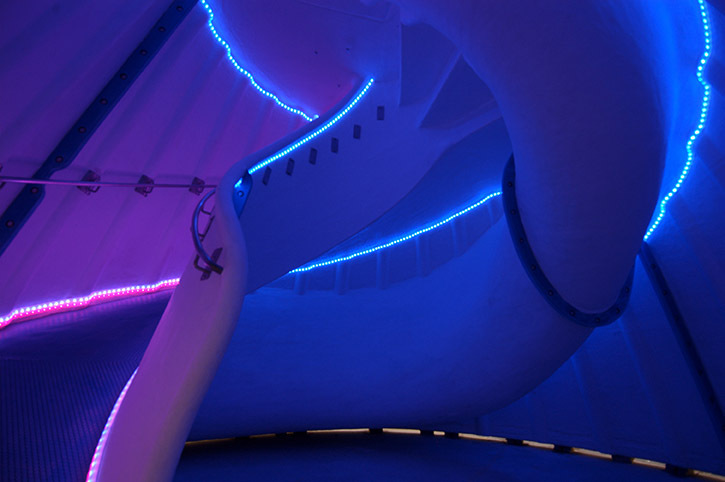 Lijn used light to accentuate the inner spiral but also to illuminate, with a magical glow, the way up to the mouth of the slide. Lijn has tried to turn necessity into art for every detail of this work. Thus the demand for the ramp to have a barrier led to the creation of a curved resin cast wall. Everything in this structure is organic. In many cultures, the form of the cone represents the cosmic mountain. 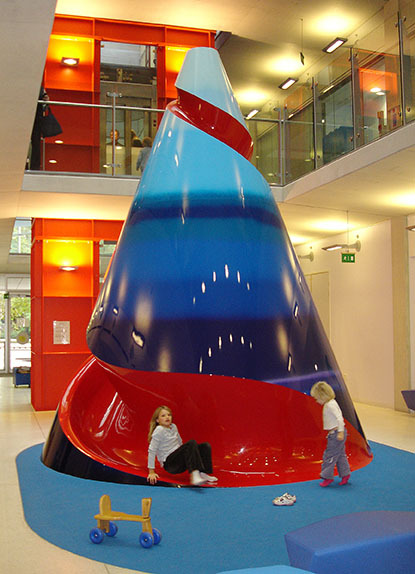 The spiral slide moulded into the cone, is similar to the DNA spiral of life. Thus, ancient cultural myths are linked to contemporary science.